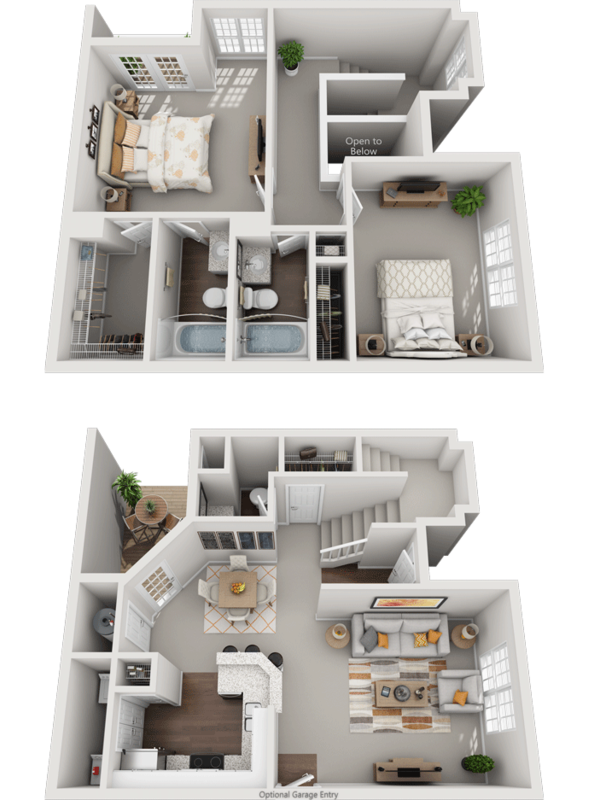 The Aintree, a spacious 2 bedroom 2 and half bath town home. The Aintree features a kitchen, pantry, utility room, dining room, living room and half bath downstairs, and two bedrooms and two full bathrooms upstairs. The foyer offers vaulted ceilings and the stairway has half-walls that allow you to see your entire first floor from the top of the stairs. The Aintree boasts an impressive 1250 square feet.